“I want to have an epic life. I want to tell my life with big adjectives. You may have noticed from all the links in my posts recently that I have been doing a lot of reading via various social media outlets (including some of my favorite bloggers <3). Recently I came across this gem titled How to Be Epic. My first thought when I saw the title was “Um, I already am“, but then I realized that the article was about a woman who took on an Ironman during a midlife crisis. Given that have a keen interest in one day completing an Ironman, and am not that many years off from a mid life crisis myself, I took notice. Basically, the article recaps how one busy, former rowing champ, endurance junkie, Kona dreaming, middle-aged mom becomes an Ironman (through endless hours of training that made her question her sanity). Sounds totally relatable to me… aside from maybe the rowing champ part. Excuse me, but where are all the articles about unathletic, uncoordinated folks taking on an Ironman? None? Okay well thank you Swim Bike Mom for filling that void. Hopefully, someday I can help you out with that. Anyway, the point of the article is how training for an EPIC RACE (ie. one that is WAY out of your comfort zone and seems impossible) changes you as a person. Back when I ran my first (and only: “first and last!”) marathon I posted on how the training had changed me long before I ever ran (hobbled through) that race. Truly, training must change you or completing the race would never become possible. Once the race is over, you cann’t go back to the person you were before training, and isn’t that the point? 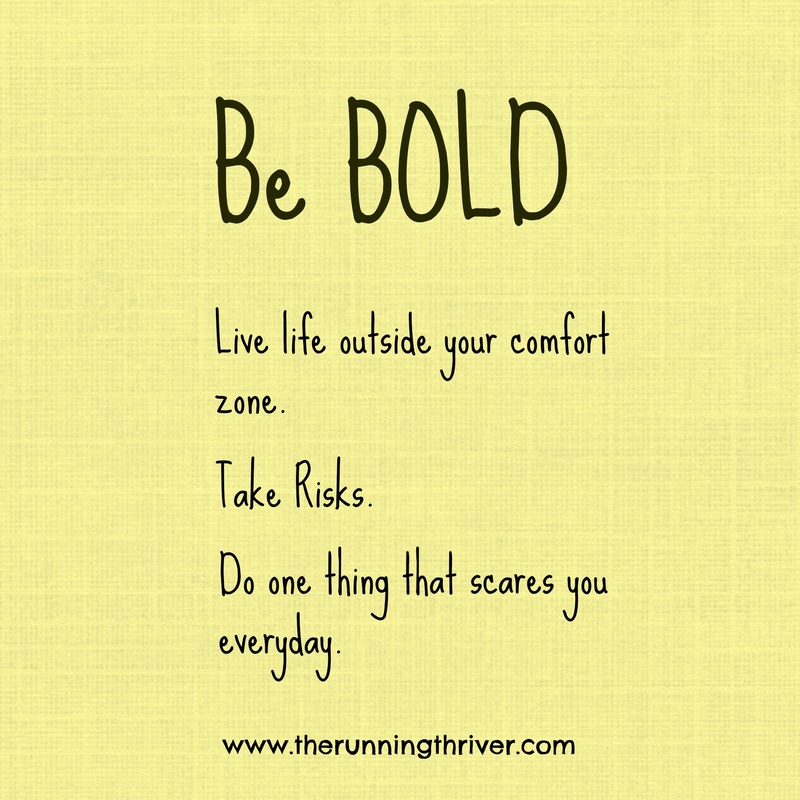 To get out of your comfort zone? To build a better, stronger, and more confident you? 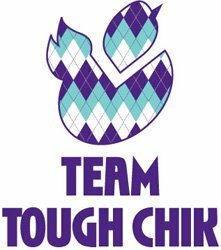 When people hear that I am signed up for yet another “crazy” obstacle course race or 30+ mile run, they invariably wonder (out loud) why I would want to. Isn’t it obvious? Because I can! Wouldn’t you if there was a chance you thought you could? Wouldn’t it be worth knowing just how far you can push yourself? Wouldn’t it be worth the sense of accomplishment? There are so many people in this world who go through life without ever testing or knowing the true depth of their strength or ability to persevere. In doing so they grossly underestimate themselves. That seems far more crazy to me than continually pushing my limits. What’s the worst thing that could happen? I fail? Well that just makes the eventual victory that much sweeter! I would rather be a failure than someone who never tried. Living life on the sidelines isn’t living, it’s watching. Are you ready to give up the sidelines and BE EPIC? 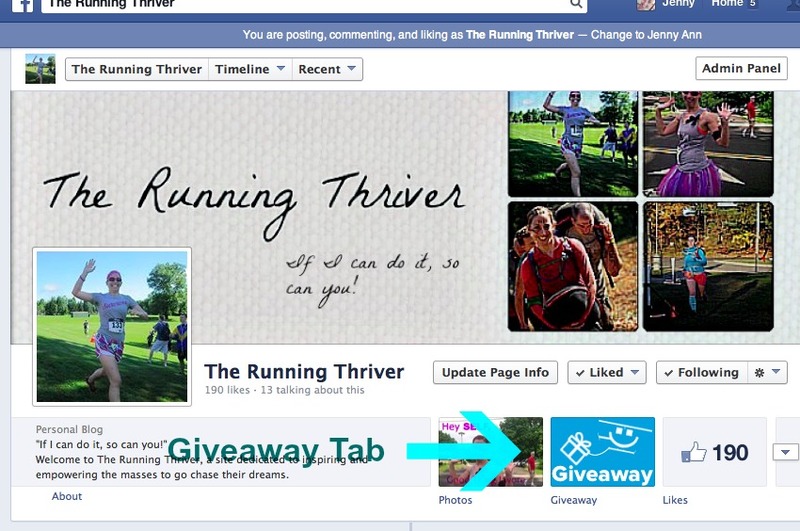 The giveaway is slated to start just as soon as we hit 200 likes on the Running Thriver Facebook Page. Why you ask? Well, because WordPress does not allow Rafflecopter giveaways on the blog, which means I will be hosting the giveaway through Facebook. So my lovelies, I am really doing this for all of you. I want to make sure you all find the page, so you don’t miss out! Once the giveaway starts, look for the tab (pictured above for your convenience) to enter. We are only 10 likes away, so it should be soon! In the meantime, I hope you all have an EPIC WEEKEND! I’d love to hear about your adventures! I am deeply uncoordinated – my family nickname is Skills, because I once shot at the wrong basket as a high school basketball player – but I’ve managed to do pretty well at endurance sports, probs because it doesn’t require a high degree of hand-eye coordination. 🙂 But yeah, I love striving to be epic in my life, even if I usually fall far short. Even the simple act of putting the effort out there has been rewarding in its own way.